Arengi is the number one independent consulting firm dedicated to governance and risk management. Risk, nothing but risk! A pure player in this field, we support management teams in their strategy of anticipating and steering their risk profile. Passionate about risk management and convinced of its added value, we are committed to providing organisations with tailored, pragmatic solutions. Our other passion is innovation. Development of the ArengiBox RMIS to support risk management processes, opening of an ArengiStore offering dedicated, well-honed advice (local authorities, HSE risks, cyber, anti-corruption…) we never stop working! Once upon a time, there were four risk management veterans. One day, they decided to cast off to navigate on their own boat. The gamble may have seemed crazy: in 2010, there were many storm warnings. The sea isn’t always calm, but our enthusiasm and determination are intact. Our team has maintained its course: serving our clients with high standards and ethics, being both risk management ambassadors and agitators…and happy to work in our profession! Founded on a principle of being different and going against well-established methods and solutions, Arengi’s ambition is to design innovative, effective, closely tailored approaches, not to settle for stereotypical methodological standards. Arengi’s team is united around an exciting project and driven by a shared entrepreneurial spirit. The notion of team is at the heart of our mode of governance and how we carry out our missions. In addition, everyone strives to maintain simplicity and humility in a complex profession and subject area. Arengi’s employees have perfectly mastered their areas of expertise. For each of its project, Arengi is prepared to guarantee optimal quality in terms of project management, compliance with deadlines, relevance of deliverables and confidentiality. 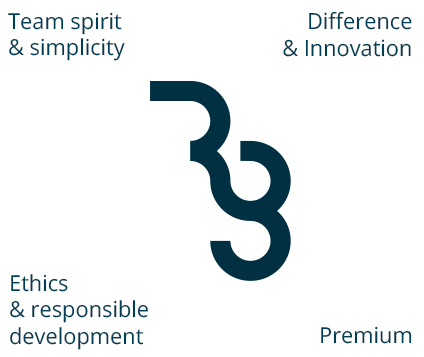 In addition to the principles and ethical rules that manage and guide our professional role as consultants, we believe that governance and risk management processes should be based on socially useful, ethical, necessary principles. These efforts enable organisations to develop an effective, responsible mode of development while remaining respectful of their economic, social, and natural environment. Thank you to the businesses, local authorities and associations that have trusted us since 2010 for occasional missions or in partnership. Alongside them, we are improving risk management practices and tools. How about some numbers? Arengi now has 50 clients, experience with several hundred risk mapping and management projects and more than 1,300 hours of risk management training. Or would you prefer words? The Risk Department asked Arengi to help it develop and implement key risk indicators (KRI) for RATP. This approach has been successfully implemented on ten major risks identified in the risk mapping and will be deployed across all major risks of the Group.